Singing creates a sense of wellbeing, brings communities together and gives us the opportunity to create sounds of power and beauty. Singing together is simply the best, most powerful way to make friendships and build lasting communities. People have always sung – it’s part of what makes us human. To deny ourselves and others that right is unjust. Welcome to our online home. We are a network of people who work with voice and song, and who believe that singing is everyone’s birthright, regardless of musical experience or ability. 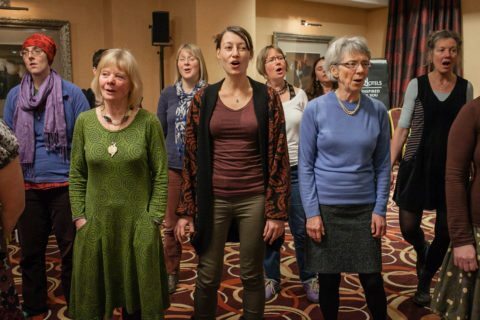 If you want to sing, you can search for a natural voice choir or workshop in your area. If you are already a singing leader or are interested in becoming one, you can find support, training and resources here. Natural Voice is about celebrating the voice you were born with, rather than trying to train it to an ideal of perfection. It's about building accepting, non-judgmental communities that sing together. It's about welcoming all voices into a group without audition and working from there to make a group sound. It's about making learning by ear accessible to the whole group so that nobody needs to be able to read music. 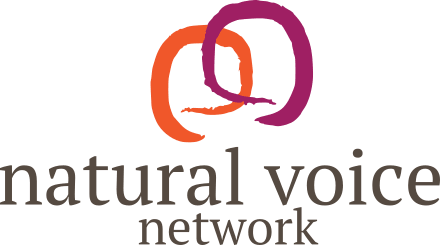 For more about Natural Voice, go to the About page. The NVN offers a wide range of support for those working with voice and song: from practical benefits including public liability insurance and ongoing advertising opportunities, to a professional development network, which can provide ongoing support and training. You can keep in touch with other practitioners through our web services, and also meet them in person at regional events or our Annual Gathering every January. Sign up for our free monthly email newsletter, including upcoming singing events, workshops and new resources available from NVN members. This moving and uplifting compilation of 65 new songs comes as a book with a USB stick containing the separate parts for all the songs. 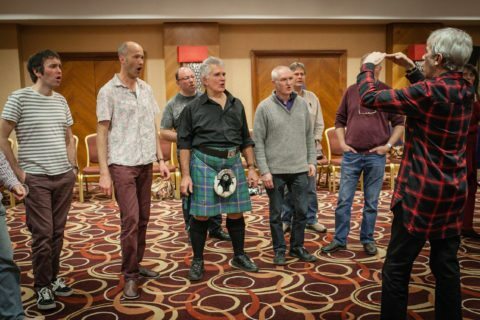 There are songs to suit all groups, and they have been written by NVN members from all over the world. This inspiring compilation of warm-up songs written by NVN members is now available as digital downloads. This course will run twice in 2019, once as a modular version in April and June, and once as a week-long training course in October.